HOW TO KEEP THEM SHINING? 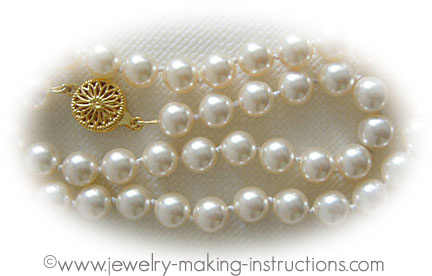 Women love pearls! Most women has at least one necklace in their jewelry box. To many, it is a beautiful piece of jewelry but to the jewelers, they are more than that. They are the wonders of the sea. They are also the products of the clever technology of man. So what are these lustre sea beauties? Do any of us really know what we are wearing? These pearly jewels come from the sea. They are the products of a natural process. A foreign particle, either a grain of sand or a small parasite, found its way into an oyster or a mussel. This foreign particle causes irritation to the oyster or mussel and thus as a natural defense, the shellfish began to secrete layers of aragonite, known as 'nacre' onto and around the irritant. As time passes, this iridescent substance covers the irritant in concentric layers and a natural pearl is formed. 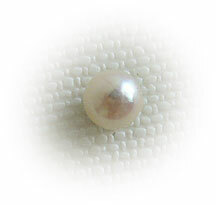 It takes about 9 to 15 years to produce a decent size pearl. These are cultivated in both freshwater and saltwater locations. Mussels are used in freshwater locations while oysters in saltwater. Not all insertions are successful. There are a certain percentage of rejections and thus whether it's cultured or natural, each piece is still a wonderful creation of nature. What we see in the market are mostly cultured. Natural ones are rare and needless to say, very expensive. Usually, the first thing we look at is the color. The most common colors are white, cream and yellow. And the rare colors are pink, gold, blue and black. These are manufactured using shell, glass, plastic or any other materials, forming them into beads and coating with fish scales. Many of these look like the real things. To know the difference, you might like to try the 'tooth test'. This is done by rubbing it gently against the biting edge of your two front teeth. Real ones will feel sandy or gritty whereas the imitation one will feel very smooth against your teeth. Strong colored one found in the market today are usually dyed. Among the dyed colors used are strong purple, shocking pink, gold, silver, blue, yellow and green. 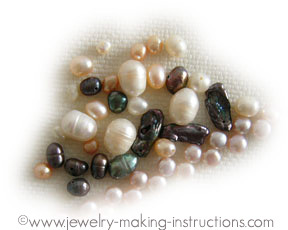 Dyed cultured ones are great for making jewelry that calls for a particular color theme. Soak them in tap water for 5 minutes. Add 2 to 3 drops of mild non-detergent e.g. Woolite, Palmolive or Fairy Liquid. Use a soft brush and brush in a circular motion. Rinse under running water making sure that no soap residue remains. Pat dry on a towel and leave to air-dry for at least 24 hours. Do not go swimming with them. The chemical in the water will damage them. Keep perfume, hairspray and makeup from touching them. Keep them separated from metal jewelry since they are soft and can be easily damaged when rubbed against the metal. Keep them in a soft cloth pouch or a cushioned jewelry box. Look at the whole strand and note the color, shape and lustre. All should be uniform or as close to uniformity as possible. Color: Color should be consistent and the surface smooth and as much as possible without blemish. Preferred overtone is pink. To see the overtone, place them against a pure white background. Most jewelers use the back of their pure white colored name cards. Shape: There are 3 kinds of shape. Spherical - round shape. Semi Baroque or Symmetrical - oval, or pear shape. Baroque - distorted and irregular shape. Lustre: Good lustre is like looking into a mirror. You can see your reflection on its surface; even the color of your clothes.